NIQ Q, KURASHIKIK, IWAMOTOM. AE technique for identification of micro failure modes in CFRP composites[J]. 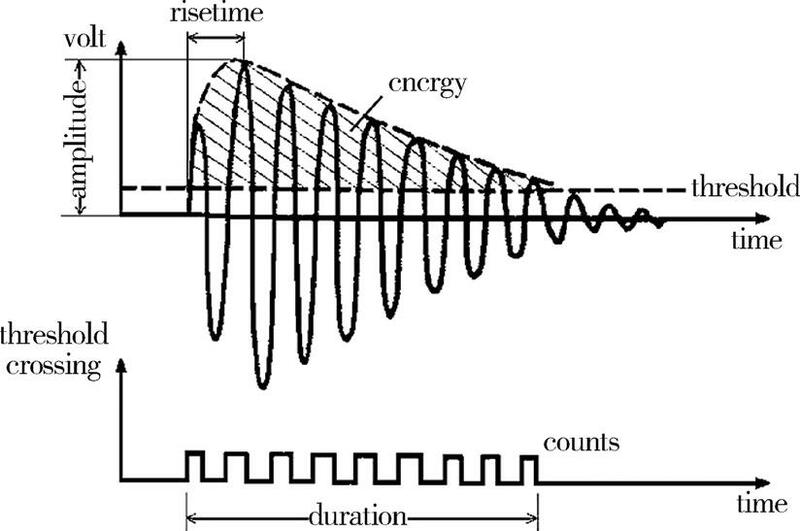 Materials Science Research International, 2001,7(1): 67-71. YANGL, KANGH S, ZHOUY C, et.al. Frequency as a key parameter in discriminating the failure types of thermal barrier coatings: Cluster analysis of acoustic emission signals[J]. Surface and Coatings Technology, 2015;264:97-104. SAWANH A, WALTERM E, MARQUETTEB. Unsupervised learning for classification of acoustic emission events from tensile and bending experiments with open-hole carbon fiber composite samples[J]. Composites Science and Technology. 2015;107:89-97. MARTINT H, HOWARDB D, MARKH B.神经网络设计[M].北京:机械工业出版社,2002. In order to master damage mechanism of UHMWPE/LDPE composite material，training sample of acoustic emission signal with different damage modes was established by clustering analysis and acoustic emission technology. Acoustic emission signal generated from different damage modes were identified by neural network. The factors affecting the recognition accuracy of network such as training function, transfer function and network architecture were discussed respectively. The results revealed pattern characteristic consisting of amplitude, peak frequency and duration can be selected by hierarchical clustering method. 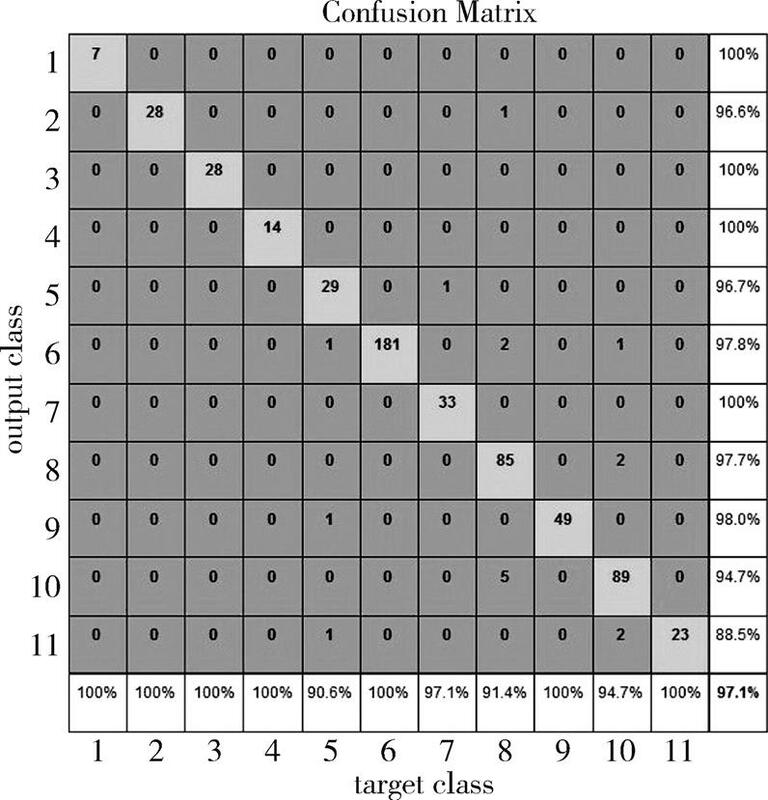 The training sample consisting of 583 signals with 11 classes can be established by K-means clustering method. Using the confusion matrix as the recognition accuracy index, when the training function is traingdx, the hidden layer/output layer transfer function is tansig/logsig, and the number of hidden layer neurons is 70, the recognition accuracy of the network is 97.2%. The results provide reference for the damage identification of thermoplastic matrix composites based on acoustic emission technology. NI Q Q, KURASHIKI K, IWAMOTO M. AE technique for identification of micro failure modes in CFRP composites[J]. Materials Science Research International, 2001,7(1): 67-71. YANG L, KANG H S, ZHOU Y C, et.al. 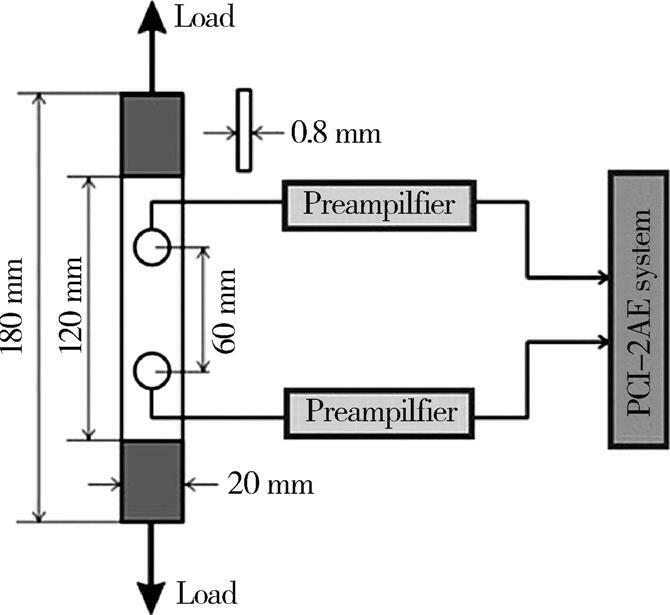 Frequency as a key parameter in discriminating the failure types of thermal barrier coatings: Cluster analysis of acoustic emission signals[J]. Surface and Coatings Technology, 2015;264:97-104. SAWAN H A, WALTER M E, MARQUETTE B. Unsupervised learning for classification of acoustic emission events from tensile and bending experiments with open-hole carbon fiber composite samples[J]. Composites Science and Technology. 2015;107:89-97. MARTIN T H, HOWARD B D, MARK H B.神经网络设计[M].北京:机械工业出版社,2002. WANG Xu,DU Zengfeng,NI Qingqing,et al.Pattern Recognition of Damage Modes in UHMWPE/LDPE Composites Laminates by Acoustic Emission Technique[J].Aerospace Materials & Technology,2019,49(02):77-81.